It’s no secret that the futures industry has been expanding in the Asia/Pacific region recently. 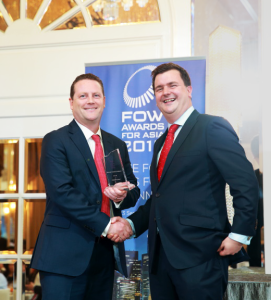 In fact, two of our most recent Trade Talk posts have touched on that very subject: Wedbush Futures’ Carl Gilmore discussed the rising Asian participation in the financial markets, and UOBBF CEO Matthew Png gave us a wide-ranging update on the futures industry in the region. As TT’s managing director for Singapore and Hong Kong, I wanted to provide a TT-specific update on some of the new developments in the region. A few weeks ago, we made three exciting announcements relevant to Asia/Pacific. Two of them were with regard to new brokers joining our award-winning X_TRADER® ASP solution, formerly known as MultiBroker. Both China Merchant Securities (CMS) Hong Kong and RHB Securities Singapore signed on, boosting the platform’s number of sell-side participants to over 50 and adding local expertise in key Asian markets. We also saw an exciting development with our new TT platform, as we entered an agreement with FEX Global to distribute TT to the Sydney-based commodities futures exchange’s trading participants. This agreement came about due to strong demand for our new technology in the region along with our extensive global distribution, and we’re already making good traction with FEX just a few weeks in. That’s not the only positive news related to our new platform in Asia, though. 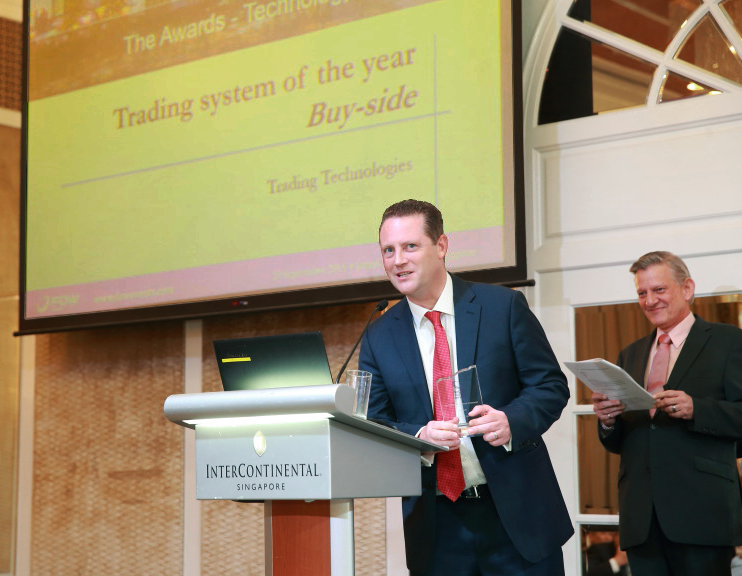 TT was also named Trading System of the Year, Buy-Side in the FOW Awards for Asia. While Trading Technologies has won this award before, this was the first year that the company was judged on the TT platform, which was publicly released this past March. To earn that recognition just six months after the launch is an exciting sign for our technology in the region. Clients are embracing the software-as-a-service (SaaS) delivery model due to the ease of distribution and the flexibility for end users to trade anywhere on any device. In addition to advancements with our product, we’ve also expanded internally in the region. In June, we announced the opening of our new office in Pune, India. The Pune office is the first in the Asia/Pacific region to include members of TT’s engineering team, and it has been growing steadily in its first few months. Combined with our already existing locations in Singapore, Sydney, Tokyo and Hong Kong, TT now has five offices in the region, which is crucial for us in covering such a large and diverse geographic area. In addition to these highlights from the past month, there are several other ongoing projects in the region, such as exchange co-located build-outs in Singapore and Sydney. And with exchanges that we’ve already connected to, such as Hong Kong Exchanges and Clearing (HKEx), Singapore Exchange (SGX) and soon to launch ICE Futures Singapore, we’re seeing demand grow every day. As we see new screen count records constantly being broken in the region, we are very excited about our future in Asia/Pac. If you’d like to learn more, feel free to contact your nearest TT office or reach out to me directly. Or if you’re in Singapore, you can visit us at the FIA Asia Derivatives Conference on December 8-10. We’ll have a booth there where we’ll be showcasing the new TT and talking to clients. I hope to see many of our readers there.